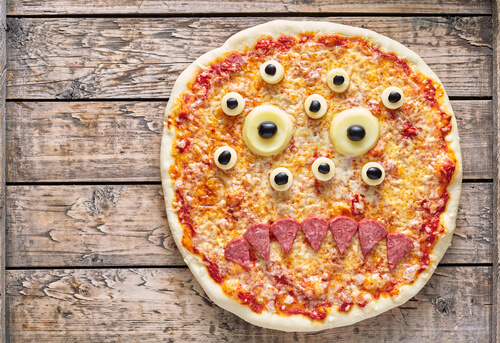 If you are looking to scare your guests and delight them with tasty food, then you need to try some Halloween themed party snacks for your 31st October Eve get-together. 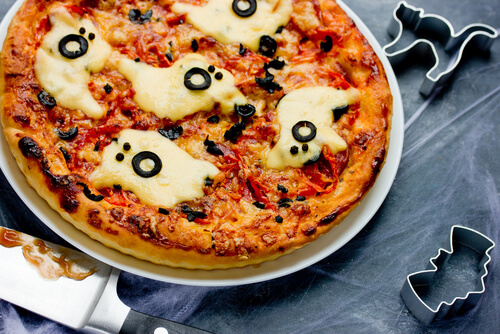 There are a lot of Halloween snacks and tasty treats to choose from. 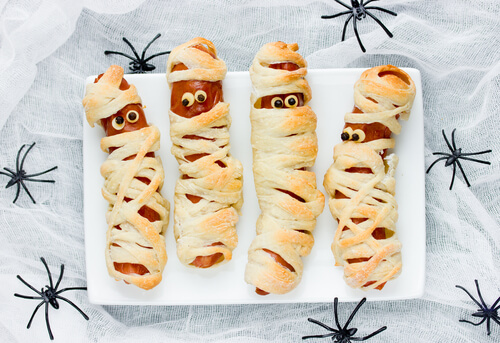 These snacks range from yummy spiced pumpkin caramel sauce and cute cheese mummy to scary widow cupcakes and spooky stuffed eyeballs. It will allow you to have a great eerie gathering and satisfy the hungriest of ghouls. Halloween is about to come and we are throwing some of the best Halloween-themed party ideas with all Halloween lovers out there. As long as it doesn’t hurt anyone, as long as the blood isn’t real, we and you love and support it. You don’t need to be brutal and nasty with your plate to put on an amazing Halloween dismay show. 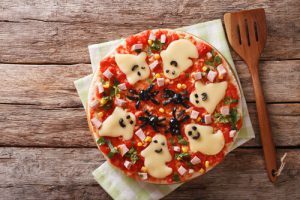 We are sharing some of the best Halloween-themed food that will blow your mind this Halloween season. 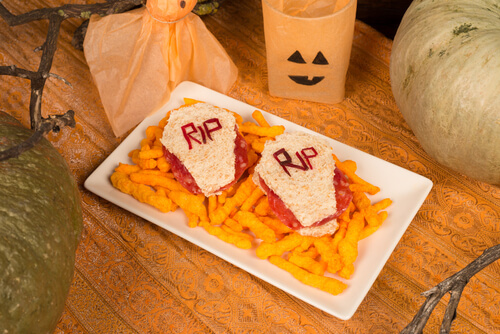 We’ll also share some food tips for Halloween menu that your guest will enjoy. 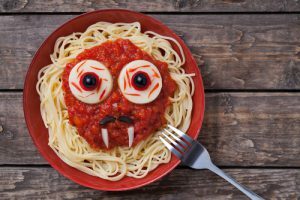 Having great food will set your Halloween party apart from others and is worth the time and money to ensure that you get it spot on. So, what are you waiting for? 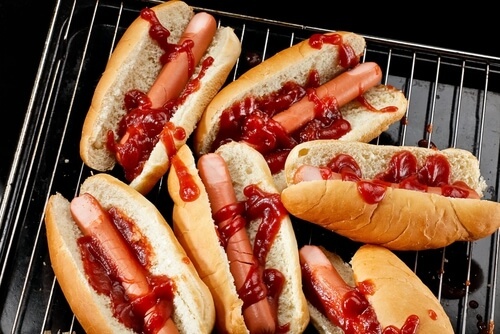 Choose your favorite snack from the following list of food and astonish your loved ones. 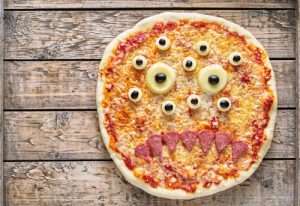 You will definitely fall in love with these cool, yummy, mouthwatering, scary, and creepy Halloween themed food. 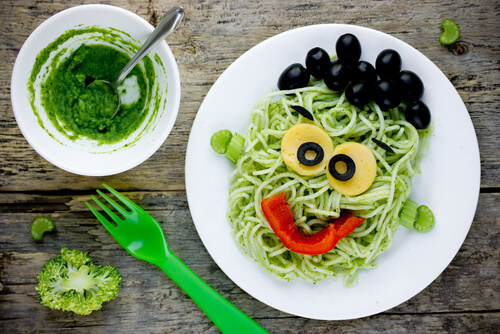 These wonderfully chilling treats will surely change your mind. These scariest yet delicious Halloween themed party snacks are just great for a frightening Fete. If you’ll like some of our Halloween food ideas, don’t forget to share with your friends and loved ones.